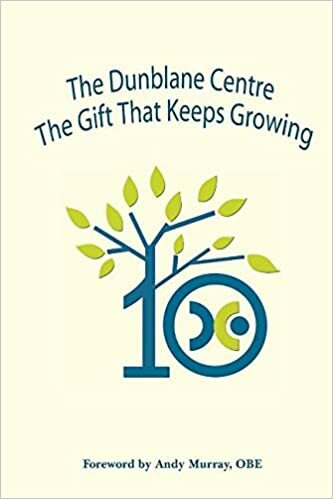 September 2014 marked the Tenth Anniversary of the Dunblane Centre. This book tells the story of how this unique facility grew from Dunblane's darkest day on 13 March 1996. It is a story which shows how the support received from around the globe, when combined with the dedication, enthusiasm and vision of so many in Dunblane, created an inspiring legacy. The history, the activities and the future of The Centre are all here, a testament to how one community, stunned by tragedy, ensured a positive future. Mick North's daughter Sophie and Pam Ross's daughter Joanna were both victims at Dunblane Primary School in March 1996. Mick is a Patron of the Dunblane Centre and Pam worked at The Centre for nine years. This book tells the story of the Dunblane Centre, a very special legacy made possible by the public's generous cash donations in 1996. However, giving money was just one of the many ways in which people responded, and we could not overlook the myriad of other gifts received by the town. The huge scale of the response makes it impossible to record all but a very small proportion of that wealth of generosity for which the people of Dunblane will always be grateful. Those we do include must serve to represent all the acts of kindness, every gift received and each thought and prayer. Thank you all. No-one expected the number of people who signed up for memberships. It was amazing. I didn't think I moved for what seemed like hours. Guests were being shown round the building by young volunteers and finishing up in the sports hall. It was a really fabulous day, and I'm glad I was part of it. From Chapter 7 – 'The Gift: A Shared Experience' – James Matthews, Sky Journalist Nothing, however, matches the story written by Dunblane itself. Courage and dignity define the way in which the Community has rebuilt and grown through an enduring emotional struggle. There have been politics, too, and practical challenges confronted with strength, skill and success. The world that once looked on in horror has watched with admiration and respect as Dunblane continues to recover from its darkest day. In their name. The city is a place shaped by its people and that includes the people it remembers at the Dunblane Centre. I feel so privileged to be part of the team and am proud to be involved at this key stage in The Centre's life. My position as manager has already given me so much – I love coming to work. We have a great team and The Centre is a truly unique place. I can't believe how fast these last two years have gone – I'd better stop telling people I'm new! The Centre is the kind of place that consumes you, it has drawn me in and I can't help but care deeply about it.